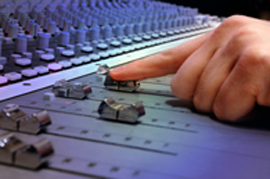 Recording Studio Services - Total Tape Services, Inc. I just wanted to tell you, based on this amazing experience with you; for sure I will be using your services for albums 2 & 3. You completely understand what my work is about as it’s clearly manifested in your work, too. Amazing ethics you all have. – A.F. The CDs all got here today in fine shape. Thanks a bunch for all your cooperation. Yes, everyone is very pleased with the quality of your work. I have a small studio in a town of 30,000 and it’s always been hard to find a company that would do a small run and still have a quality product, so, you’ll definitely be hearing from me again. We’ll see how ours keep selling, and hopefully, maybe we’ll have to re-order more! – D.D. The recording process begins with “laying down tracks”. This consists of recording each instrument onto its own track. This can be done with a whole band playing together or with each instrument played one at a time. (The advantage of that is that one person can play multiple instruments in the same song or even sing their own harmony/duet.) This first basic group of tracks is called the “bed track”. Additional tracks will lie on top of the “bed track”. Further instruments can be recorded on their own tracks with using the bed track as a reference. Then the lead vocals and background vocals are recorded. Once the basic recording is finished, the tracks need to be edited. This gives you the chance to pick out the “cream of the crop” from each track. For example, if you recorded 3 versions of the vocals from the same song, each on its own track, you could pick out the best sections from each of those tracks and then make a composite of those sections. This is called “comping”. Editing and comping are followed by creating a rough mix which gives you the basic idea of what the song will sound like. Listening to the rough mix allows you to decide on any final editing that needs to be done to the song, such as, eliminating the track with the fog horn on it. Once everyone concerned is satisfied with the song a final mix is created wherein the multiple tracks are “mixed down” to a “two-track master”. It’s at this stage we put the final touches on a recording. Each song is carefully listened to and adjustments are made to polish off each one. One song might require more treble where another is lacking in bass. Once every song sounds just right, the songs are placed in the appropriate order with just the right amount of empty space between them. Even if you already have a two-track master or a final master our mastering engineer can work with what you have and apply the “finishing touches” to your master before we duplicate or replicate it so that you have the best-sounding CD possible. Are you a voice over actor/actress? Do you need a demo CD of your talents? Come record it in our studio and then take advantage of our CD duplicating services. There are different, affordable options whether you only need a few or you need 100s or 1000s to send out. Ask us about our packaging options, too. Are you an author or a publisher? Audio books are becoming more and more popular every day. 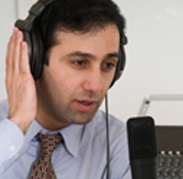 Come into our studio to record your audio book. Ask us about our sliding scale on studio hours. 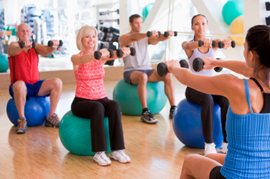 Are you a Pilates, sports or aerobics instructor, sports? Use our videographer to film your instructional or exercise workout video. Then take advantage of our DVD duplicating or replicating services to package and mass produce your video. You can also come into our studio to record instructional CDs for training seminars for your employees or sales reps. Our videographer can also film on location to help you create an instructional DVD. Sometimes the written word just isn’t enough, showing someone the right way to operate a machine, service a customer or swing a golf club can make a world of a difference.Once your recording is finished we can mass produce it with our CD duplicating or replicating services. With network marketing you need to explain your product or service and your marketing plan and business structure. Come into our studio to record two separate CDs. One will sell the product or service for you. The other will explain and enlighten your prospect on how they can go into business themselves selling the product or service. You can also create two DVDs with our videographer. The advantage of a DVD is that you can visually display the product or show what the service is. You can also lay out the structure of the business and what the marketing plan is comprised of with the use of charts and diagrams. Once your recording is finished we can mass produce it with our CD duplicating or replicating services. Our videographers are experienced and professional. They will go on location to film your wedding or event. 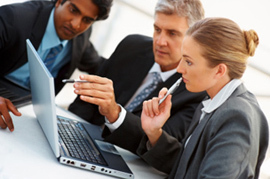 You can also film an instructional DVD with them to help effectively train employees. DVDs can also be used to sell a product or explain a network marketing plan to a prospect. 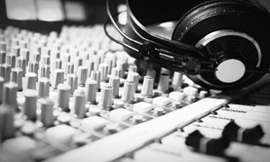 Once your recording is finished we can mass produce it with our CD duplicating or replicating services. Or, you can just make a few copies of a wedding or event for friends and family with our media transfer services. Narrating those old silent home movies can preserve memories for generations to come. Your grandchildren and great-grandchildren will know that man in the movie was sweet old Uncle Bob who loved bass fishing and playing the ukulele. We’ll record your narration as the film plays. So, pop up the popcorn and come on in while the memories are still fresh. We also transfer old reel-to-reel films and VHS tapes to DVD. Our studio hourly rate is $65.00 per hour. Call to find out about our block rates at (727) 799-3100.